Our guest blogger this month is Duncan Peak – founder of Power Living Australia Yoga. Read what he has to say about modern yoga and the many great benefits! Thousands of students visit our studios for coaching on how to create, sustain and develop a modern day spiritual practice. We’ve been fortunate to help so many people take the first step towards being conscious, through understanding their mind and their ingrained belief systems. Through this practice, people are making more conscious decisions and finding a deeper connection to life. The core of our teaching is that our constant seeking of pleasure is the root cause of our suffering. We chase desire and avoid hard circumstances in the attempt to get what we want, under a false premise that this will make us happy. Sure there is nothing wrong at all with prosperity, but when we look for meaning in external things rather than in ourselves all the gold in the world can not take away our suffering. Many of us take the limits of our own beliefs to be the limits of society, a fundamental mistake we make when we are so identified with our body and mind. Making conscious choices rather than being lead by unconscious belief systems is so important for our own mental peace and growth. Do you have deep unconscious beliefs around not being worthy, loveable, deserving or undesirable? Have you got negative core beliefs that you slip into in and out of context situation that triggers intense emotional reactions in you? I bet you have, we all do and I include myself entirely. Being present allows us to examine thoughts, feelings, emotions and reactions without having to identify with them and act out. You are not your thoughts or your feelings because you can observe them. So how can you be them? What yoga encourages for greater mental peace is to identify with the observer rather than what’s observed. I’m challenged daily to stay grounded, humble, open and honest. For the most part I do, but sometimes I screw it up. If I don’t stay conscious, practice yoga and meditate I get carried away and follow desire, not the values in my heart. Eventually, this always leads to suffering. In yoga terms we all have an ego. When we’re caught in the disease of the mind, we’re under its brutal reign; it’s just the ego. It’s the identification with something that is impermanent that we take to be permanent. Judging someone else for his or her mistakes is really just proof we too are suffering its same affliction. Yoga, meditation, martial arts, walking, surfing, all done in an appropriate way, allowing mindfulness, are great ways to start to breakdown beliefs systems. It allows for reflection and observation from an unattached observer that bring these beliefs or what yogis call vasanas to conscious thinking (vrittis) and examine them making the right choice in line with your dharma, your duty, your values, not egoic goals. Be bold, be powerful, go on with courage and self-confidence. Evolve your mind to be a creative instrument that seeks no approval, but listens to the direction of the higher mind. Tell us what you think, have you experienced shifts in your beliefs, your state of being, worthiness through practising being present, being mindful or practising yoga? Tell us your story below, we would love to hear from you! 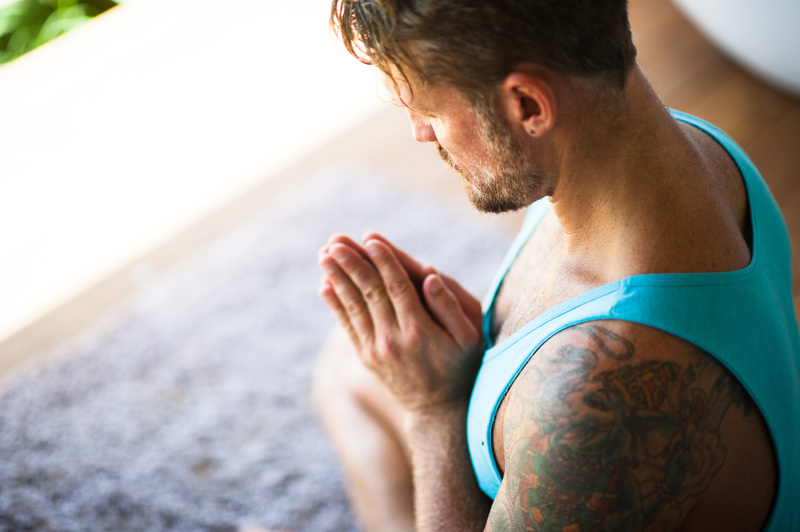 Power Living offers a modern day physical and philosophical yoga practice which focuses on evolving bodies, minds and building deeper spiritual connections within. Teaching Power, Vinyasa, Yin and Meditation, the studios caters to enthusiasts of all levels. Their yoga will awaken you and transform your life. Power Living has studios in Neutral Bay, Manly, Bondi Junction, Bondi Beach, Fitzroy, South Melbourne, North Perth and Myaree. You can also check them out on Facebook. One of the great ways to support you in your raw food diet is to get your hands on some delicious raw food recipes. Check out ours! Photography credit: Lee Te Hira.